UPDATE: Hasbro Officially Announces Luke (Jedi Master) and Rey (Jedi Training) Black Series 2-Pack! 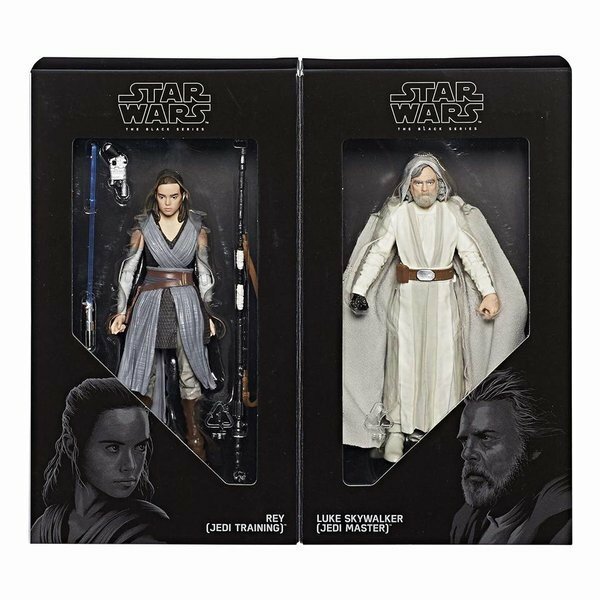 An upcoming potentially exclusive San Diego Comic Con Black Series 6″ 2-pack of Luke (Jedi Master) and Rey (Jedi Training) has been revealed! We will take a look at the photo below with our brief take on it, check it out! 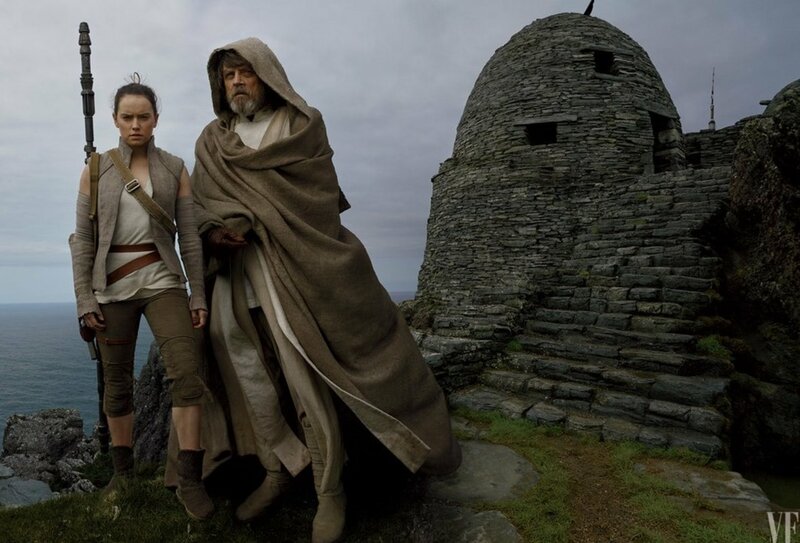 Luke’s Jedi attire is certainly on the light side (literally), although we know that’s not always foreshadowing in Star Wars as Luke wore all black in Return of the Jedi. It appears he has a pouch of some sort on his belt as well. Rey’s outfit is a mixture of crossing gray tones with dark and light underneath, again not reading into it tonally but it’s certainly a interesting look. No longer wearing the rags of Jakku, Rey looks ready for her next step into becoming a Jedi! There is a lot of speculation that this 2-pack will be an exclusive this week at San Diego Comic Con. Thanks to Twitter user @greedostalk who pointed out the post by Jeremy Agustin. So it’s confirmed Luke comes with zero accessories, unless of course you let him use “Rey’s lightsaber”! What do you think of the figures? Are you happy to see that both Rey and Luke are being labeled as Jedi or did you want the Jedi to end? I think we can all say we are happy to see Luke finally appearing in merchandise, we’ve waited long enough! Sound off in the comments below and be sure to head to the Cantina. You can find me on Twitter at @JohnnyHoey and I’m sure we’ll talk about in on the Resistance Broadcast, you can tweet at us there at @RBatSWNN , the best tweets always get a shout out on the show.